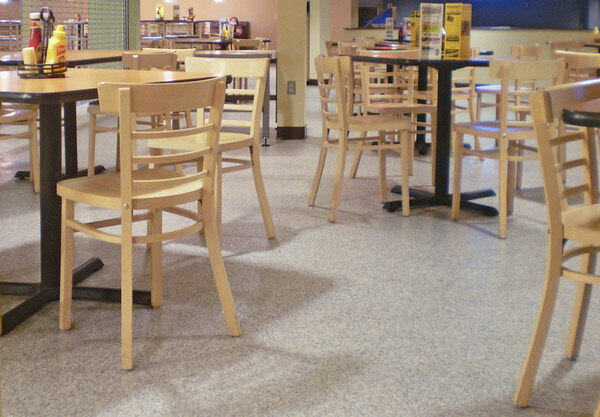 Everlast® Epoxy’s Natural Stone and Everlast Floor are the perfect solutions for your cafe, dining room or reception area. These floors provide beautiful aesthetics with superior durability, even in high-traffic and high-stress settings. With an unlimited color range combined with a mother of pearl option, marble, recycled glass and more, our floors offers many styles and solutions to fit your unique needs. 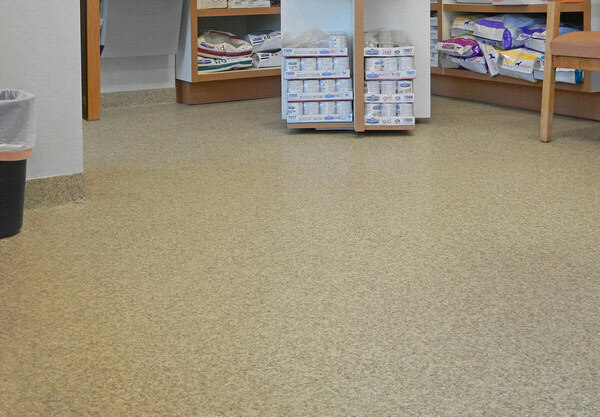 Your Everlast® Floor won’t peel or crack apart like quartz broadcast floors and epoxy floor paints. 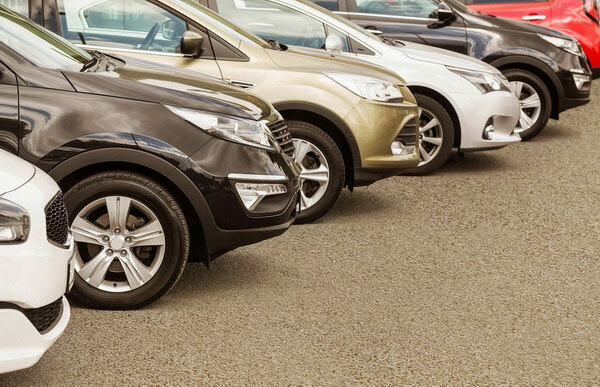 Our flooring is designed to be strong but flexible, and can withstand even the heaviest foot traffic without showing wear. Made from non-porous composite material, our floors require minimal cleaning. Unlike tile, vinyl flooring or carpet an Everlast® Epoxy floor rarely needs replacement, even when located in high-traffic areas. And less repair work and maintenance means lower costs now and in the future—a win for any business. Because our flooring is incredibly durable, it’s well-suited for outdoor* or indoor uses as well as high-traffic areas—think reception areas, hallways and outdoor areas. And because it’s water-resistant, these solutions are equally good for kitchen and bathroom floors. Everlast® Floors are made with an EPA-registered antimicrobial additive to restrict the growth of microorganisms. Added directly to the epoxy, your floors will have the long-term protection from a broad range of fungi, bacteria, actinomycetes, yeast, and mildew, plus the odors that come with. *For Outdoor Use, choose Natural Stone with our Outdoor Tough Polyavastic Binder, or our Outdoor Tough coating. While many flooring solutions offer antimicrobial surfaces, many don’t go any deeper—and that can leave your floors susceptible to punctures and natural wear and tear. And that can leave you with bacteria, mold, mildew and more. We want to hear about YOUR next flooring project! Get in touch to learn more about Everlast® Epoxy and to schedule a free assessment and estimate.